Theseus is a sci-fi game set on a space station where the different factions (soldiers, scientists, aliens and greys) are trying to take control. 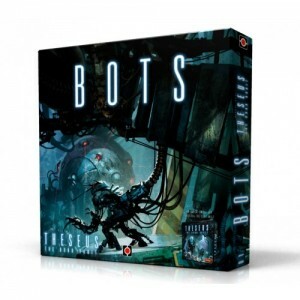 The setting and photos may give the impression it’s a complicated game, but it’s actually a eurogame that is relatively quick and contains some good tactical play. Players take turns moving their units around different locations (sectors) on the space station. 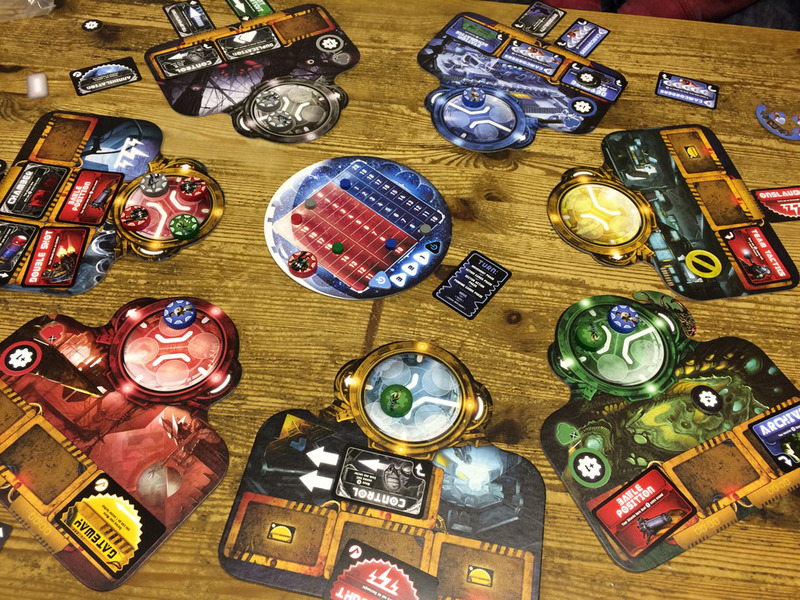 Each sector is a separate board piece and these are arranged in a circle: one sector for each player’s faction, plus one each for the Corridors, Control Room and Tech Bay. Each sector has 4 rooms (in the circular area) as well as several spaces for action cards (the oblong areas) which players will place during the game. Each player has their own unique deck of action cards. These first enter the game by being placed next to sectors (called ‘pending’ cards) which may get to be placed (‘installed’) on a sector later. 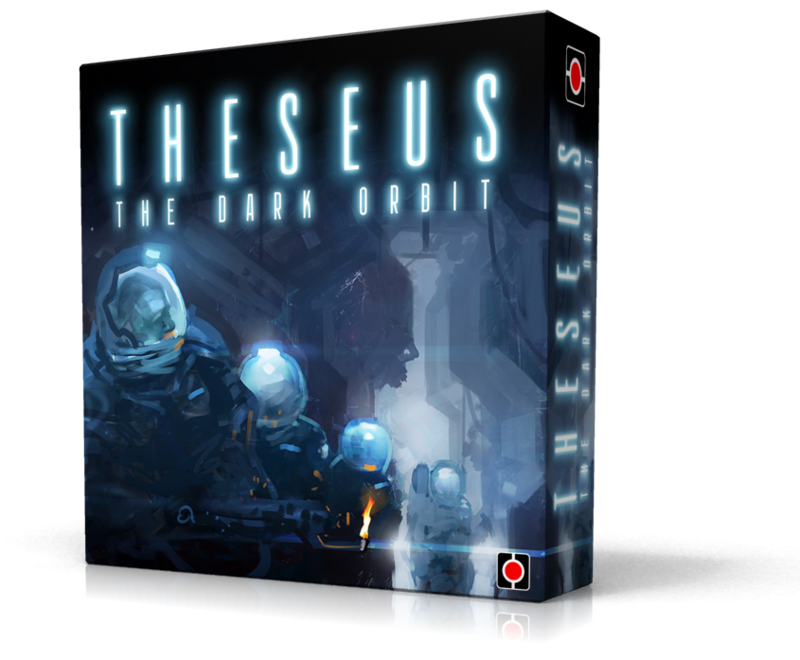 Theseus is a sci-fi game set on a space station where the different factions (soldiers, scientists, aliens and greys) are trying to take control. They do this by either reducing a faction to zero life points, and the scientists and grey can win by collecting 20 data points. Players take turns moving their units around different locations (sectors) on the space station and playing cards. 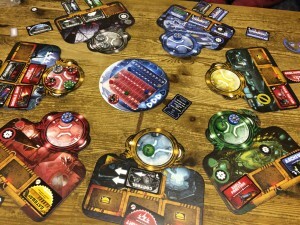 Each sector is a separate board piece which are arranged in a circle: one sector for each player’s faction, plus one each for the corridors, control room and tech bay. Each sector has spaces for cards (that players will be placed during the game) as well as 4 rooms.